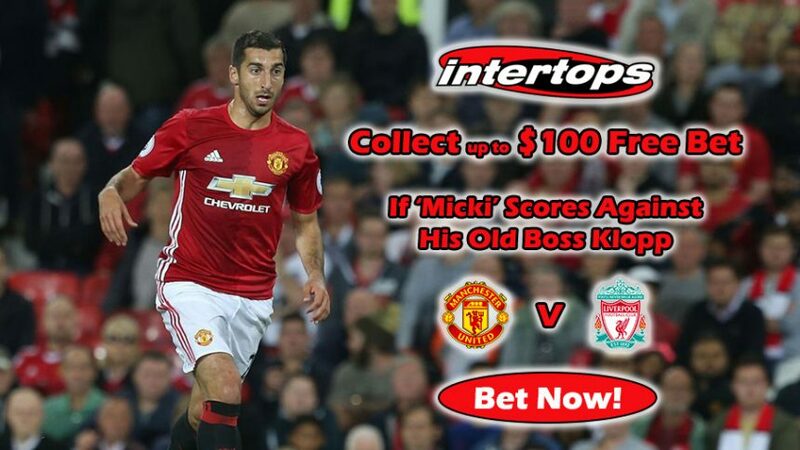 Intertops’ Premier League Money Back Offer will see you recoup your bet on this Sunday’s encounter at Old Trafford, in case Henrikh ‘Micki’ Mkhitaryan finds the back of the net. Back the any side in the highly anticipated Man United v Liverpool match with Intertops Sports, and if ‘Micki’ scores a goal against his former boss Jurgen Klopp, you’ll be eligible for the Premier League Money Back Offer! 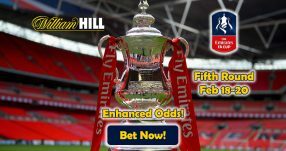 Collect up to $100 Free Bet in case the 27-year-old midfielder finds himself on the scoresheet at Old Trafford this Sunday. Use the following Bonus Code to claim the Premier League Money Back Offer: WEEKLYSB. Despite a slow start to life in the Premier League with the Red Devils, ‘Micki’ has was one of the main attacking threats for his former side Borussia Dortmund last season, when he bagged an incredible 23 goals across all competitions. After 20 rounds in the English top flight, Liverpool occupy second position on the table (44 points), only behind Chelsea who are five points clear at the top. Jurgen Klopp has really transformed his side into a fearsome one with his Gegenpressen tactics, which has seen them become serious title contenders once again. To add to that, Liverpool maintain the third best record while playing on the road; they’ve won on 6 occasions out of 10 away games, while the other encounters ended with 3 draws and 2 losses. Insure your bet with Premier League Money Back Offer and grab up to $100 Free Bet! Under new manager Jose Mourinho, Man United seem to have struggled to adjust to his tactics until recently, however the Red Devils are finally getting to grips with ‘The Special One’s’ philosophy. 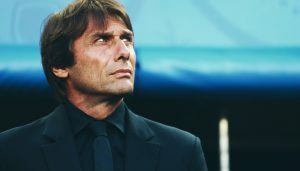 They’re enjoying a superb spell at the moment that has resulted in six straight victories in the Premier League, however they’re still outside the top four, in sixth place (39 points) due to loss of points at the start of the campaign. Man United have suffered only 1 loss at Old Trafford from 10 home games – which is the good news – however they’ve blundered on several occasion which has seen them draw against opposing sides 4 times. The remaining 5 home games have ended with victories – most of which have come during the recent, fine performances the club has put on. 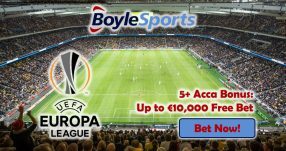 Join Intertops before the weekend’s action to take advantage of the Premier League Money Back Offer! Get a Stake Back up to $100 Free Bet in case ‘Micki’ finds that back of the net against his former boss Jurgen Klopp. 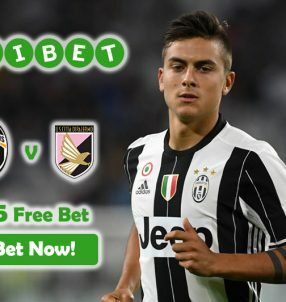 Grab $100 Free Bet with Premier League Money Back!